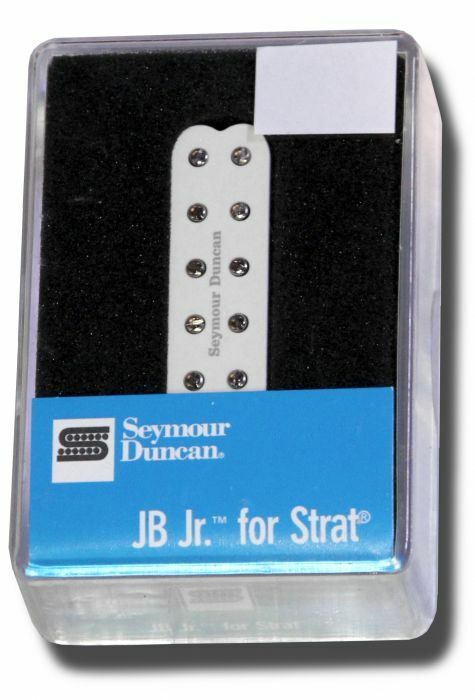 SJBJ-1b JB Junior for Strat Bridge, White. This twin coil design pik-up gives the character of the popular JB Model humbucker in a single coil size. Its adjustable pole pieces more closely emulate the magnetic field of a full size humbucker and allow you to fine tune the balance of your strings. A first for a humbucker this size! Great harmonics and a sweet high end is what you can expect.